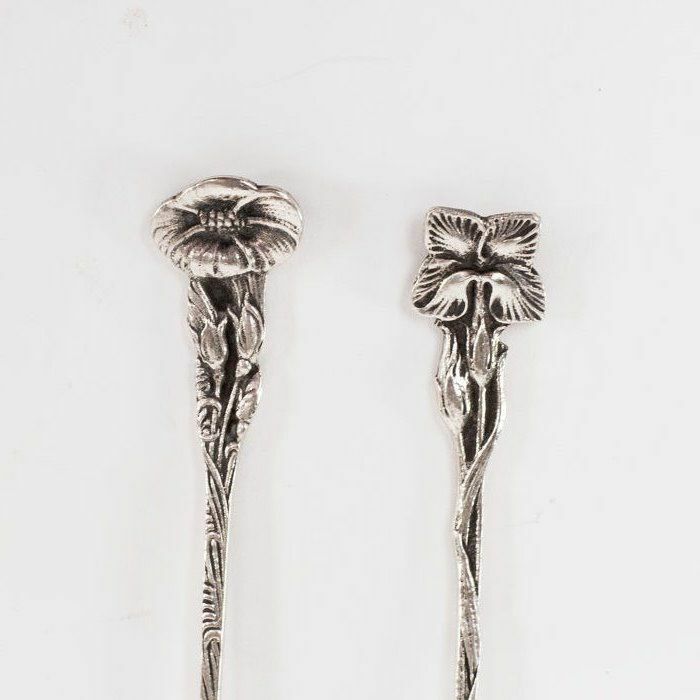 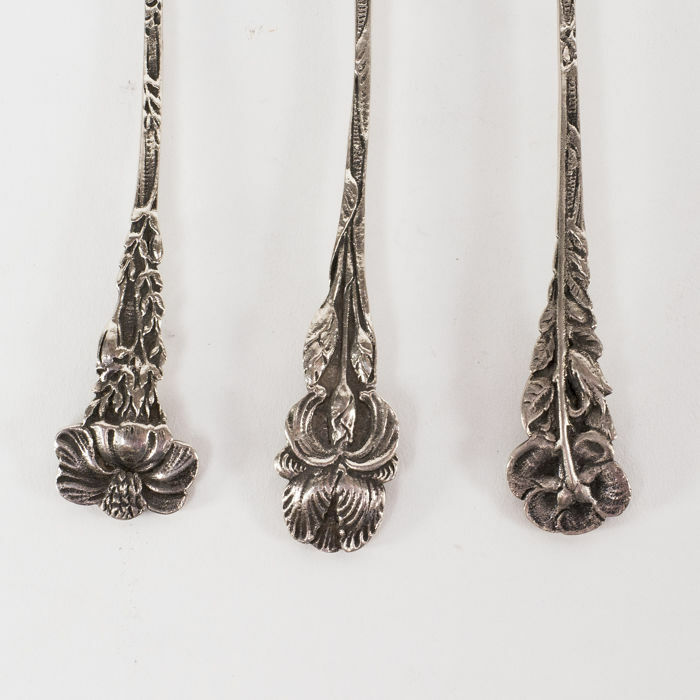 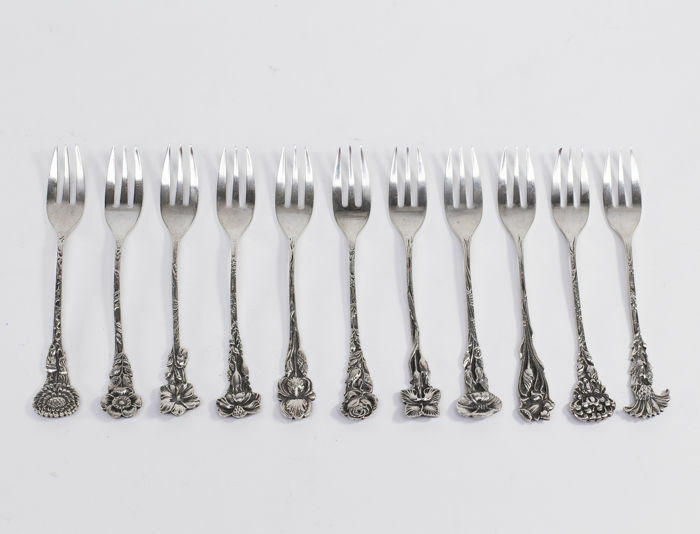 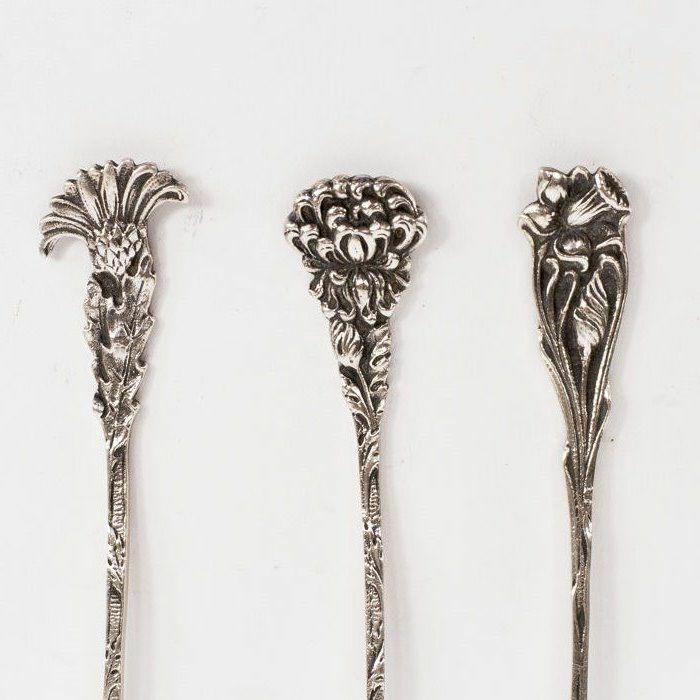 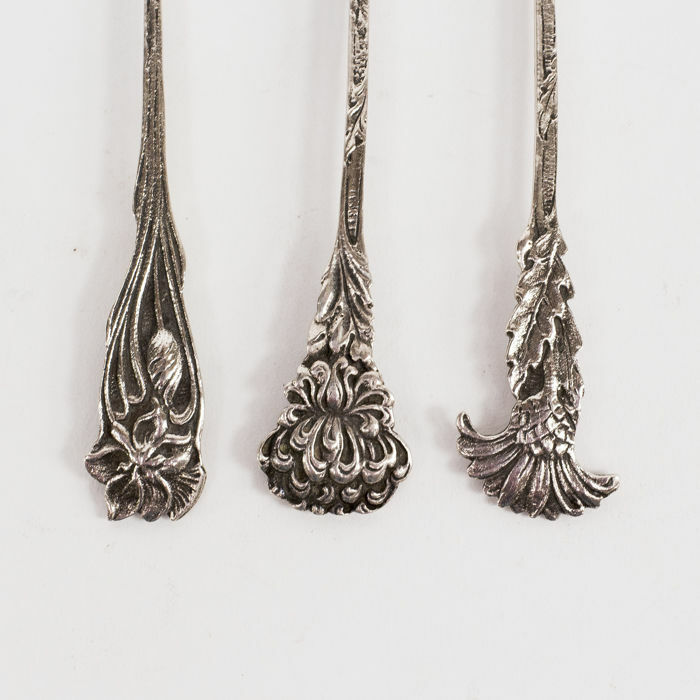 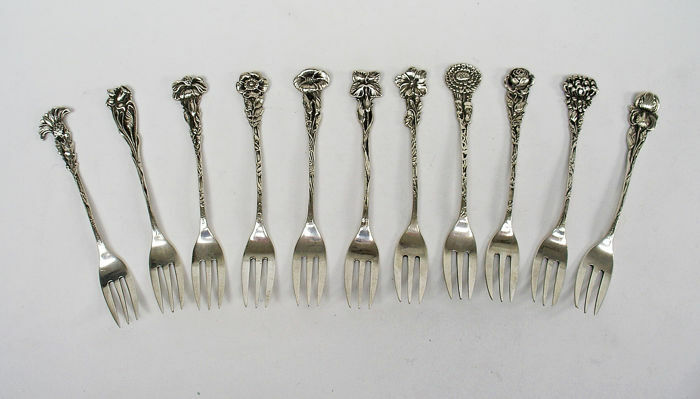 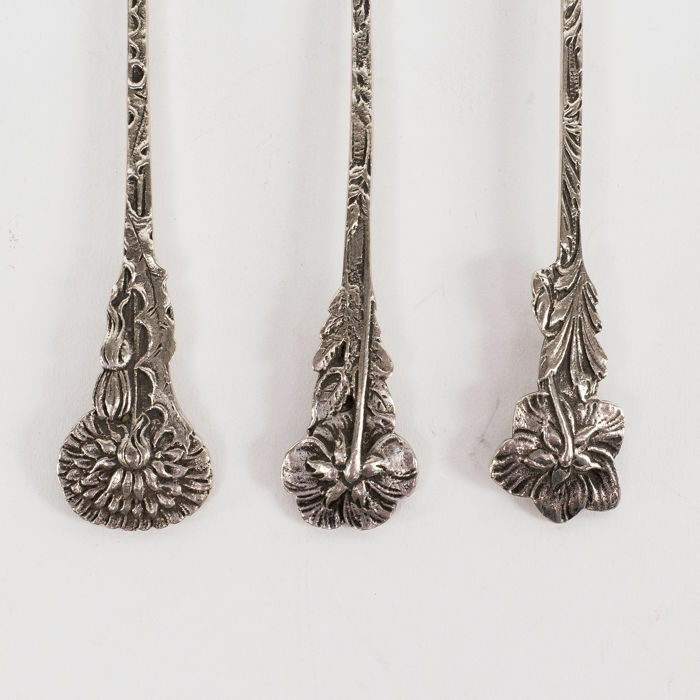 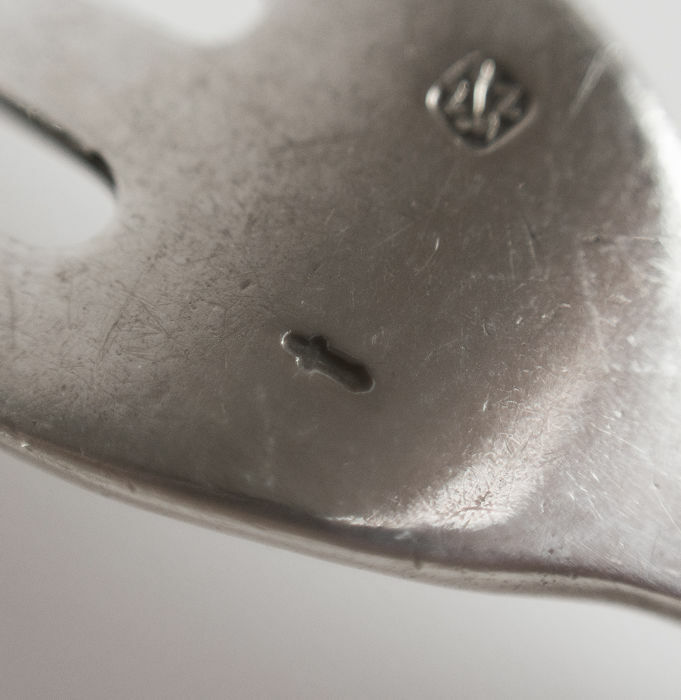 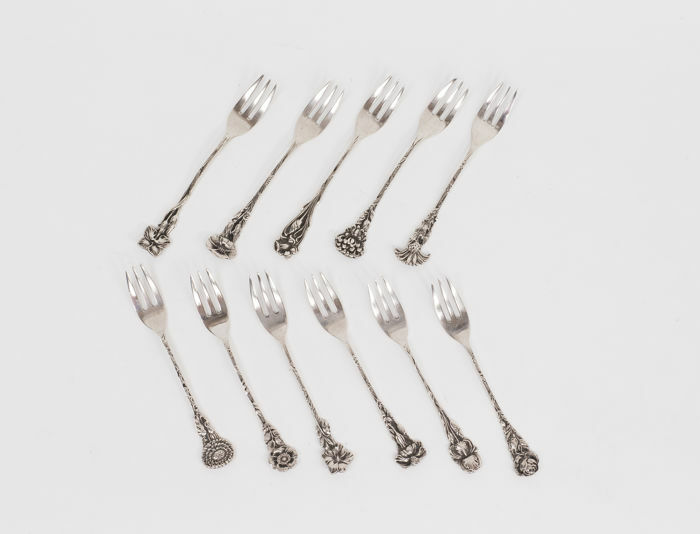 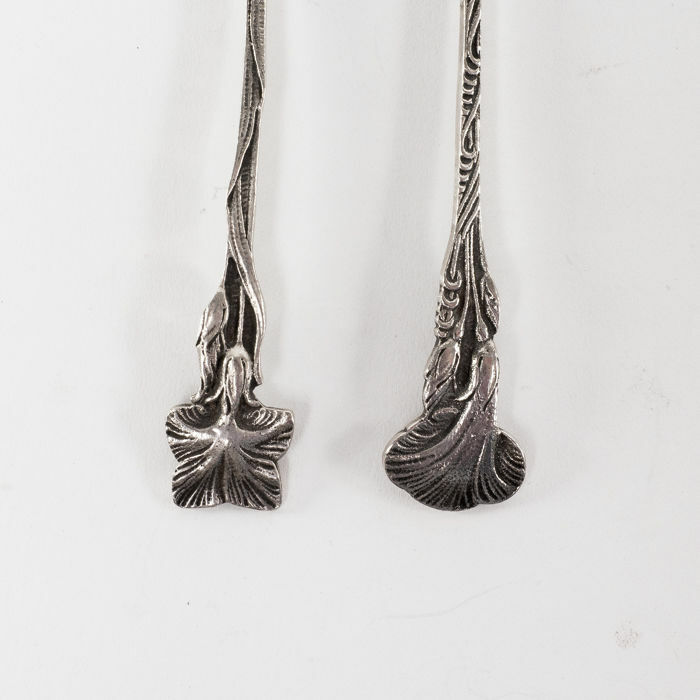 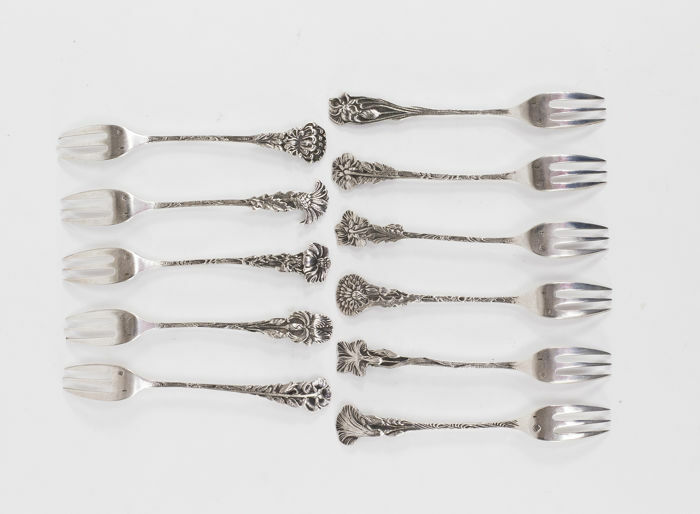 A series of 11 silver, heavy and sturdy cake forks of a large size. 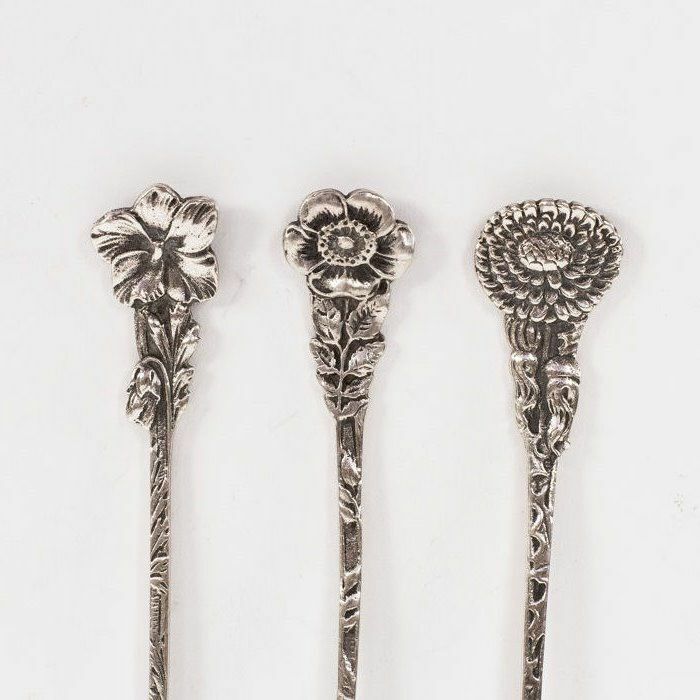 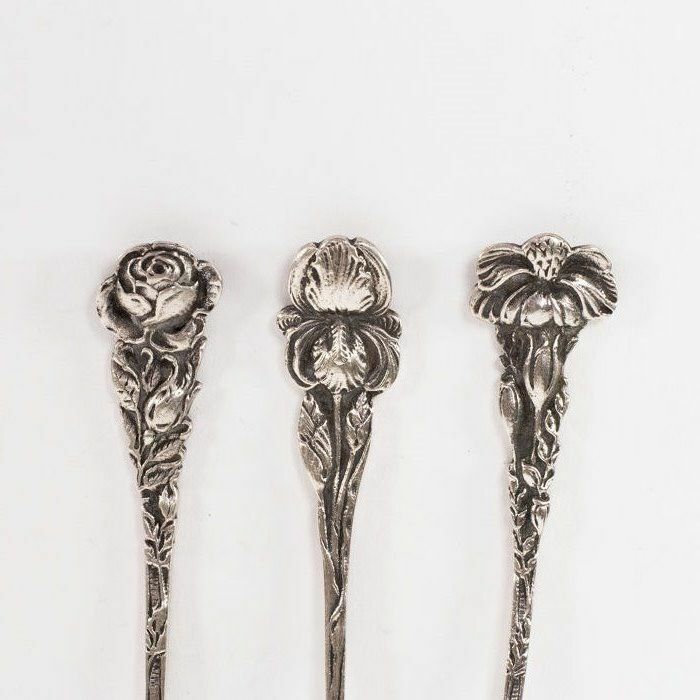 The handles have different flowers depicted in bas-relief. 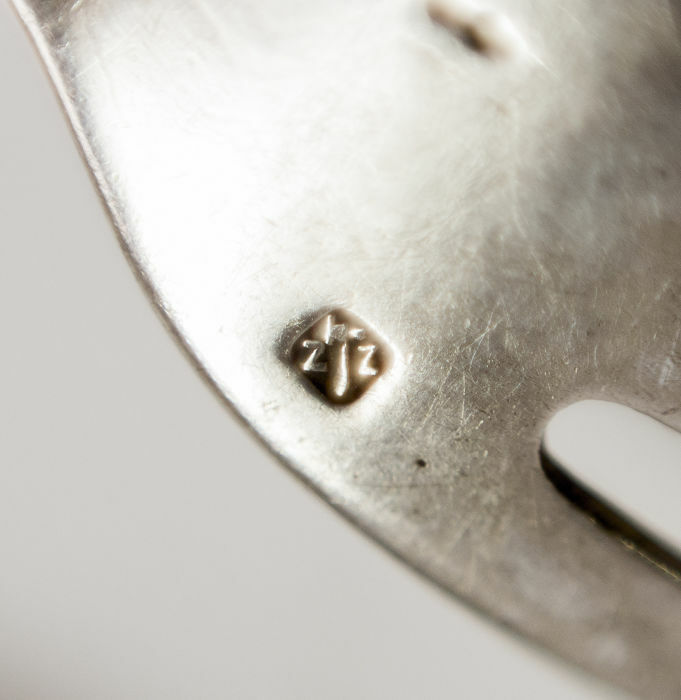 All hallmarked with het 'sword' from before 1953 and the master stamp 'Z-Z' for the Zaanlandse Zilversmederij E. Schoorl (used from 1920). 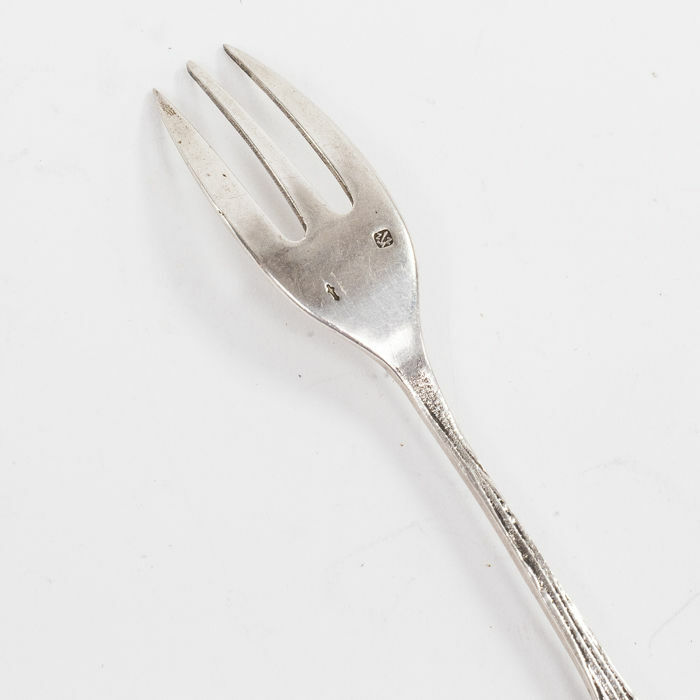 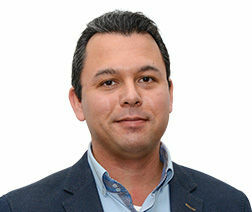 Du kan hämta det här objektet hos säljaren: Utrecht, Nederländerna.